This bread is a bit heartier than my Country Sourdough Bread, as I add whole grains and oats. 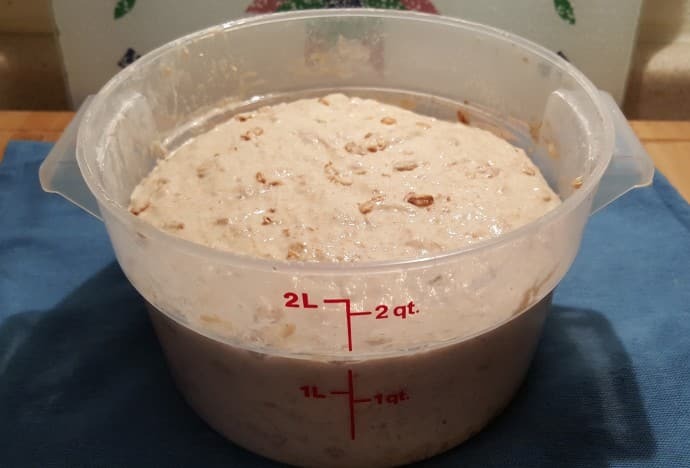 If your jar of starter that you keep in the refrigerator is not very active, you could instead of feeding it and letting rise overnight, make a Levain (pre-ferment) by removing a Tablespoon of Starter from your jar and adding in flour and water and then cover overnight. 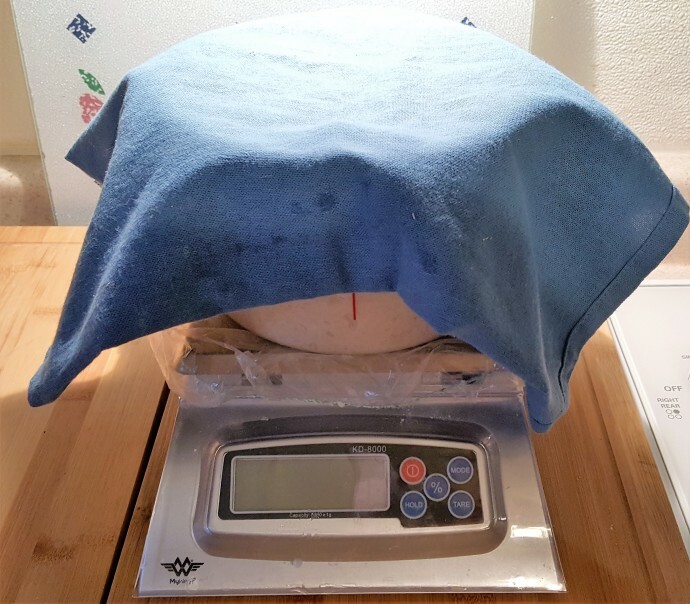 This will produce a stronger active yeast. 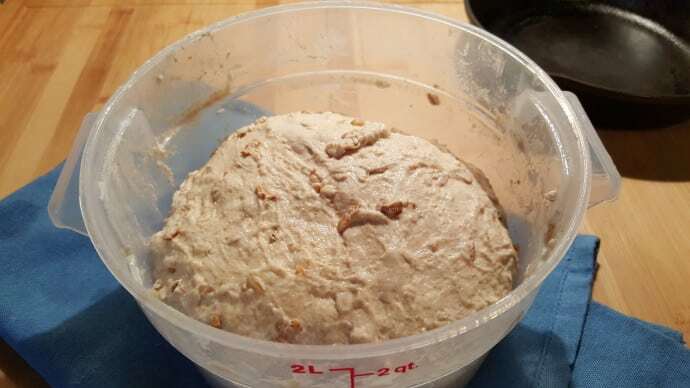 A levain is a mixture of sourdough starter, flour and water that is prepped and then allowed to grow. 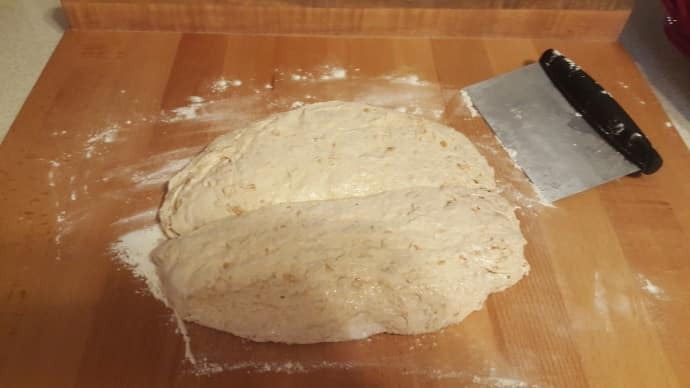 There is no commercial yeast in a levain. 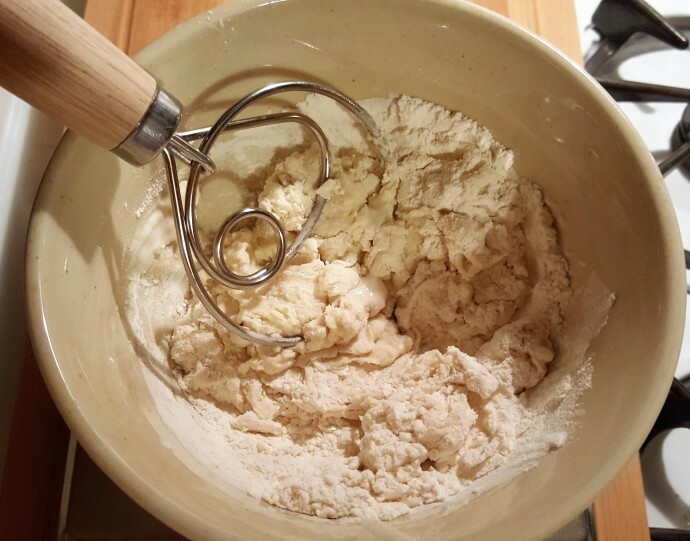 The Original Danish Dough Whisk does a great job of mixing up the flour and water. 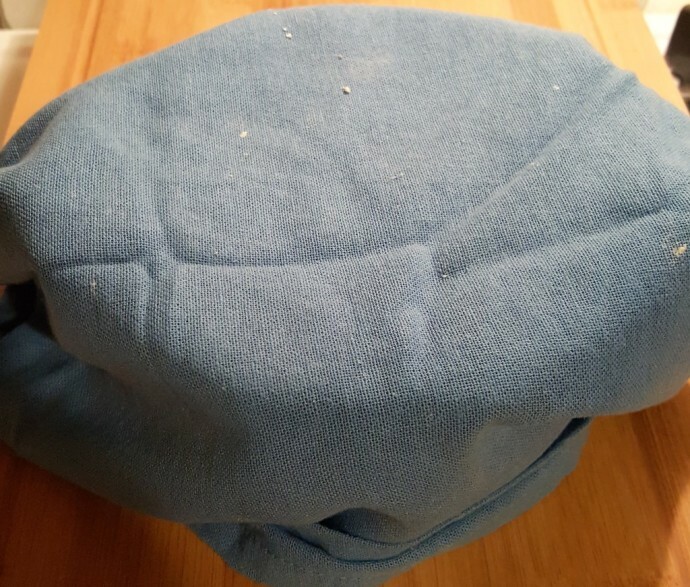 Cover with a Flour Sack Towel or whatever you like and autolyse for at least 30 minutes. You can go longer if need be. 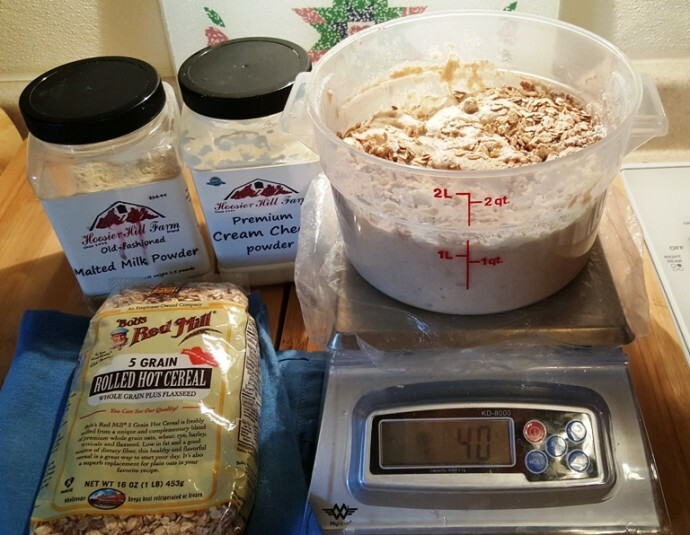 Add in the Malt Powder, Cream Cheese Powder, oats, along with a bit more water and salt. This is called a Double Hydration. 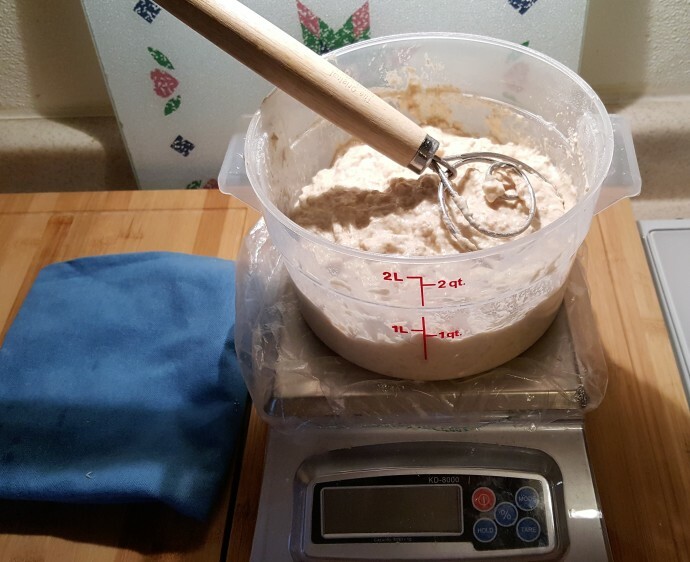 After one hour of rest, your dough will be visibly taller. 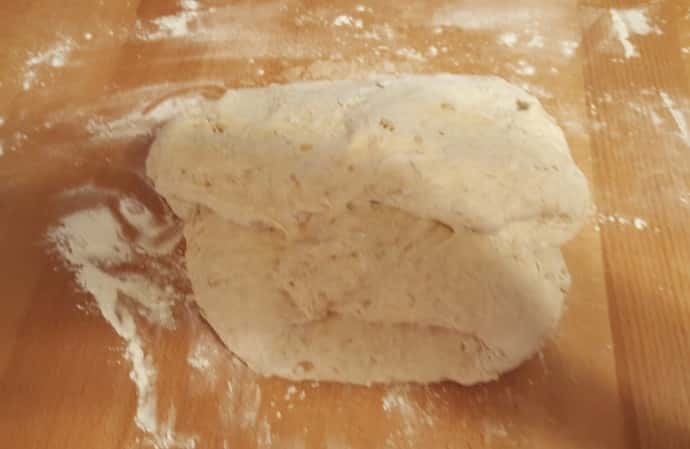 Cover the dough and let it bench rest for 30 minutes. 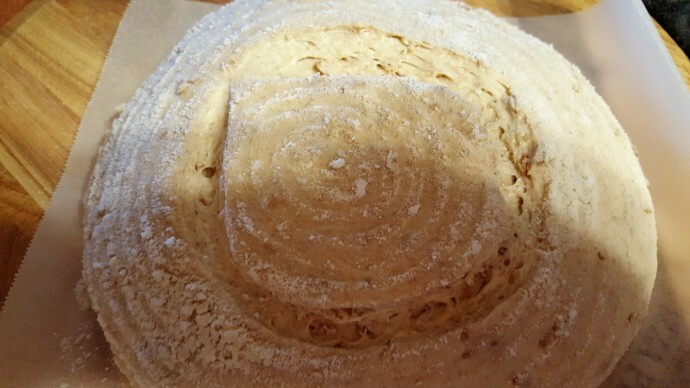 I love my Snow River Pastry Board. 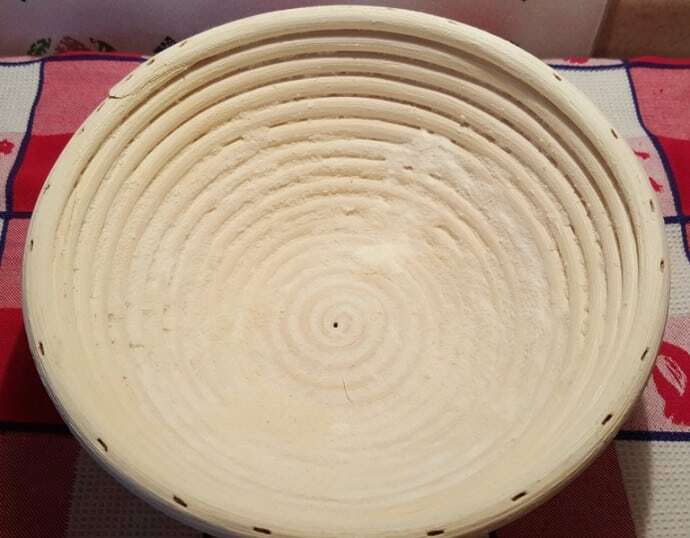 When I first got it, I applied four rounds of John Taylor Butcher Block Conditioner Oil and then two coats of Clark’s Cutting Board Finish Wax. Once a month, I apply another coat of the Oil and every couple of months I apply the Wax after oiling. 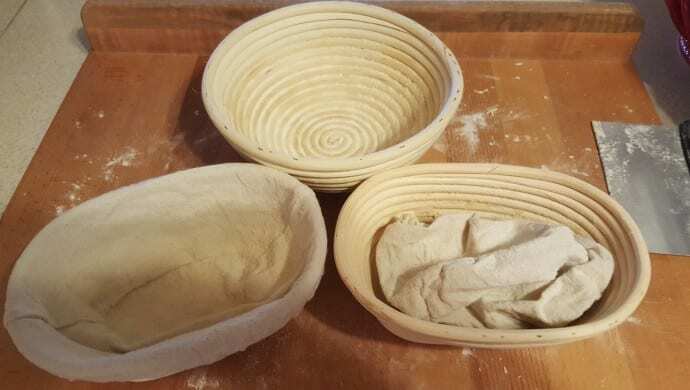 The dough will be puffy. 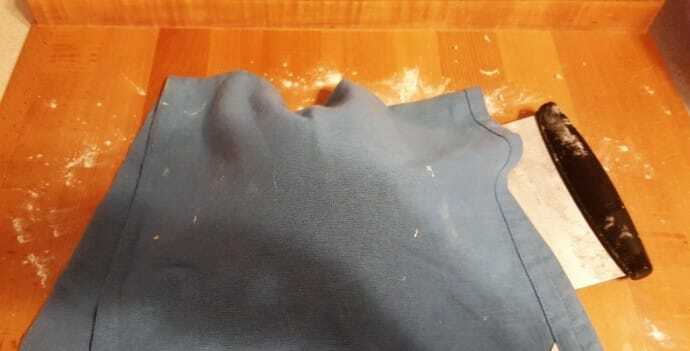 Dust some flour over the top and with your Bench Knife, flip it over and reshape, this time tighter. 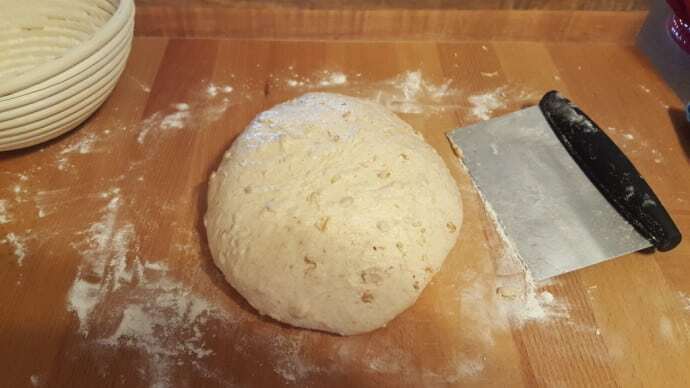 Using your Bench Knife as a guide to scrape along the board, pull the dough towards you, which will tighten the dough even further. 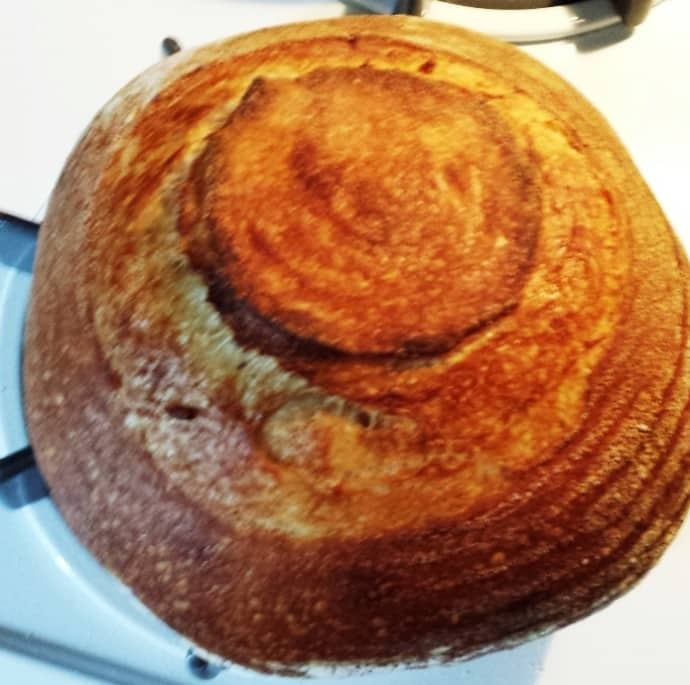 I sometimes divide half the dough and shape into mini Boules. 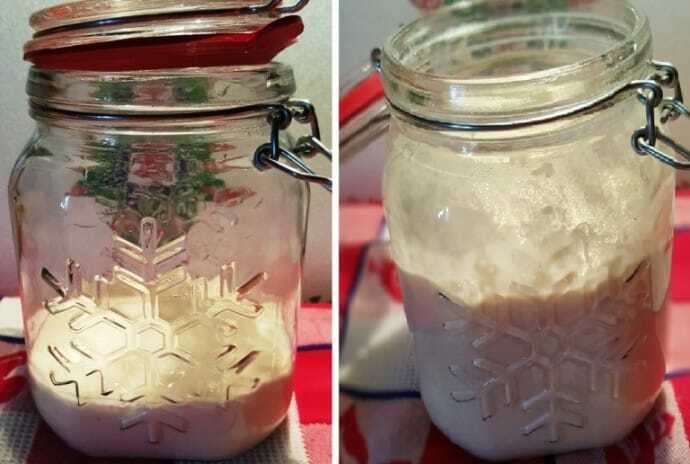 The next day, remove from refrigerator and allow to come to Room Temperature. 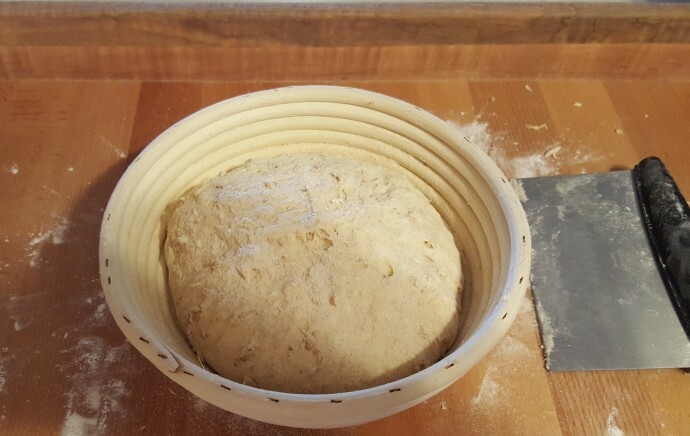 Preheat oven to 500 Degrees F for one hour, score your bread with a Bread Lame and bake. Razor Blades are super cheap and I buy them in packs of 100. 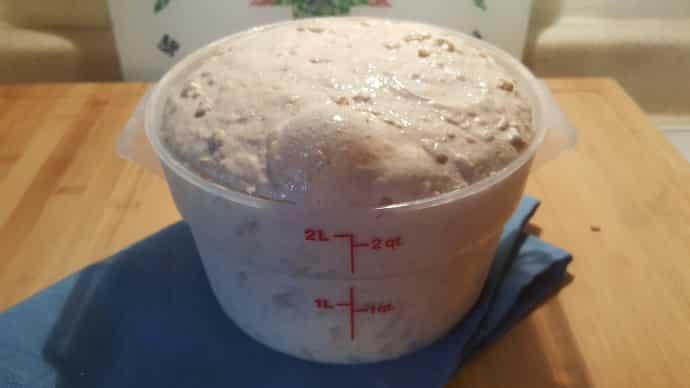 To learn more about bread baking, please join my Natural Fermentation Real Sourdough Bread group. 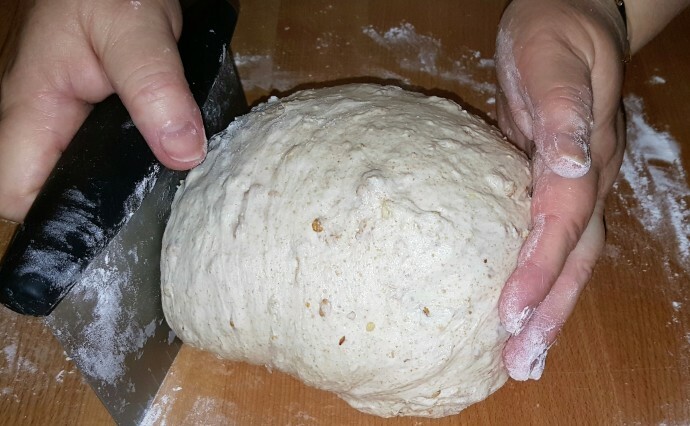 More Bread Recipes You Will Love. 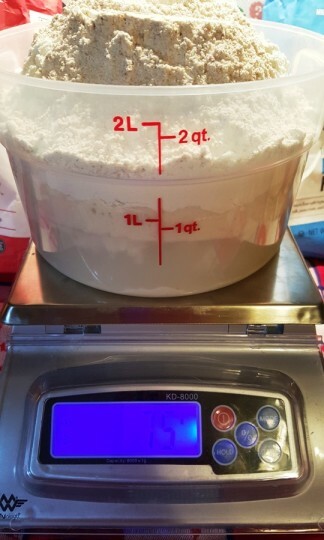 In a mixing vessel add Levain, water and flour and mix with fingers just until incorporated. 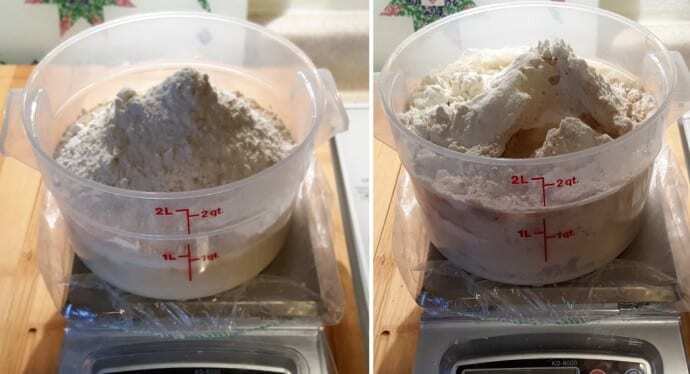 Do not over mix. 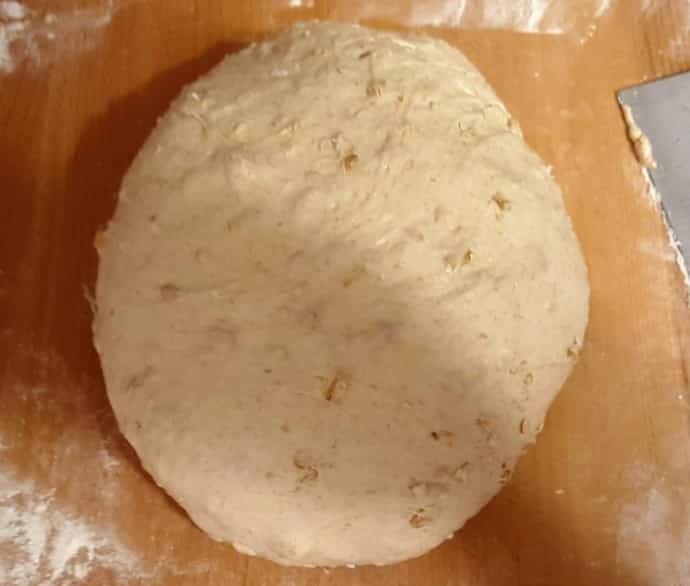 Add malt and cream cheese powder, oats, salt and water and integrate into dough (water will not immediately integrate, but will with each stretch and fold). 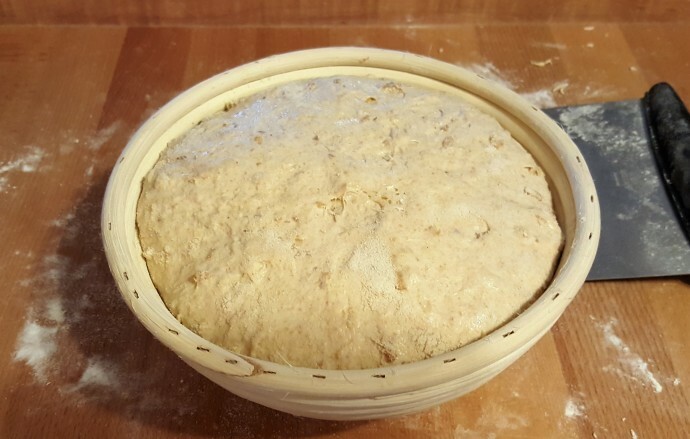 PIN this Oats and Seeds Sourdough Country Loaf!